Since the inception in 1999, our company Shetty Enterprise is the leading company completely engaged in manufacturing, supplying and exporting an unbeatable assortment of Conveyor Belts and Conveyor Systems. 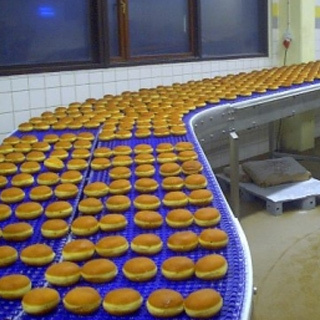 We have produced conveyor belt design that includes the world class records such as the strongest and heaviest belts. We are manufacturing the conveyor belt with high-end German Conveyor Belt Technology that keeps our conveyor belt systems running reliably and economically. We are the leading manufacturer of Conveyor Belt in India and offers synthetic textile reinforced conveyor belts, steel cord conveyor belts, conveyor systems and protection systems. The entire range of products are manufactured by making use of quality approved raw material and advanced technologies for the better development of our products. These products are highly appreciated for their highlighting features like high tensile strength, high abrasion resistance, low maintenance and corrosion resistance. Apart from our products we also provide Conveyor Belt Joint & Maintenance Services at Client's Site to our valuable clients. We have developed an ultra-modern infrastructure facility to carry out our business activities in best possible way. This facility is installed with varied advanced machines and tools that are necessary for the production. Also, to look after the systematic working of all the activities at our infrastructure, we have also appointed a team of adroit professionals. All the products we offer to our patrons are stringently examined by quality controllers on several parameters. Owing to our qualitative products, we have been able to create our position and export our products in the markets of Indian Subcontinent and South/West Africa. A Conveyor Belt is the transportation of material starting with one area then onto the next area. Conveyor belt has high load conveying limit, expansive length of conveying path, straightforward outline, simple support and high dependability of operation. The conveyor belt plays an important role in different industries for material handling operations that perform a key function in a great number. While the idea of the dealing with errands and size of operations differ starting with one industry then onto the next and, on the global scene, starting with one nation then onto the next as indicated by the mechanical and monetary base, the relative expenses of putting away and transporting the mass materials are, in the greater part of cases, very noteworthy. 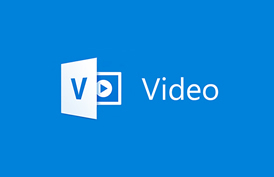 It is critical, thus, that taking care of frameworks be composed and worked with a view to accomplishing greatest productivity and unwavering quality. 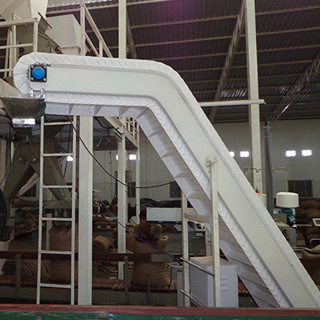 The offered conveying belt has high load carrying capacity, large length of conveying path, simple design, easy maintenance and high reliability of operation. How does the Conveyor Belt Works? 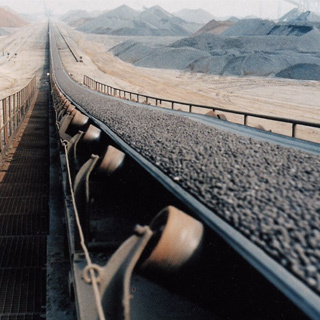 Conveyor Belt was invented in the 19th century and they are being used primarily in the ore mining industry. The manufactured in the 19th century were used to load rail cars more efficiently. In the ore mining industry the ore was transported out of the mine on ore carts and then loaded onto the conveyor belts for loading rail cars. 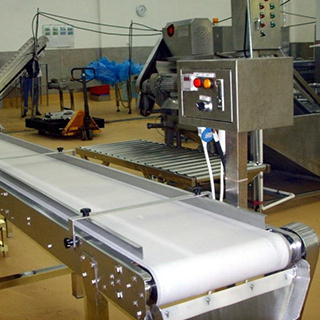 The major standard applied to all variants of conveyors belts is moderately simple. A wide portion of material is it leather, rubber or synthetic material, stretches and loops between two pulleys/rotors. Motors power the pulleys, turning them both either clockwise or anticlockwise. As the pulleys turn, erosion happens between the pulley and the belt of material, impelling the belt to move around the loop. The two pulleys must turn a similar way, else the belt won't move. A conveyor belt works on friction. It comprises of a belt fitted more than at least two rotating rollers. The erosion between the belt and rollers makes the belt advance or in reverse. Along these lines, rotational movement of the roller is converted to direct movement of the belt. Conveyor Belts are fundamentally wide belts appended in a circle to at least two turning rotors driven by engines. The loop is the real conveyor belt, and is for the most part made of at least two layers of elastic, one layer to give shape and structure to the belt and one to enable it to transport its heap securely. This conveyor belt is for the most part appended to two wheels, called rotors, which are spun by engines. The conveyor belt has enough rubbing amongst it and the rotor that it adheres to this rotor. What is conveyor belts made out of and their Applications? To produce a huge assortment of the conveyor belt we are using the best quality of materials. The general idea below shows the basic main material utilized for manufacturing the conveyor and processing belts. We are using the materials from metals to fabrics, a variety of materials, depending in the client’s purpose. Plastic For cooling chambers and other low-heat applications. Polypropylene Packaging, Textiles, Stationery, Plastic parts and Reusable containers of various types, Laboratory equipment, Loudspeakers, Automotive components, and Polymer banknotes. Teflon-Coated Fabric For Baking or Drying applications in food production. Woven PVC For Baking or Drying applications in food production. Ethylene-propylene-(diene)-terpolymer EPDM Electrical cable-jointing, Roofing membranes, Geomembranes, Rubber mechanical goods, Plastic impact modification, Thermoplastics, Vulcanizates, and many other applications. How much does it cost to make a conveyor belt? Deciding your venture degree and spending plan is critical. To enable you to begin, here are some broad case conveyor and sortation conveyor pricing. If your organization is looking to increase the efficiency in its warehouse or distribution center, you've presumably thought about introducing conveyor or refreshing your present conveyor framework. Assuming this is the case, the conveyor evaluating you get will shift in light of your needs and the extent of the undertaking; be that as it may, beneath are some broad valuing rules to enable you to decide your venture spending plan. 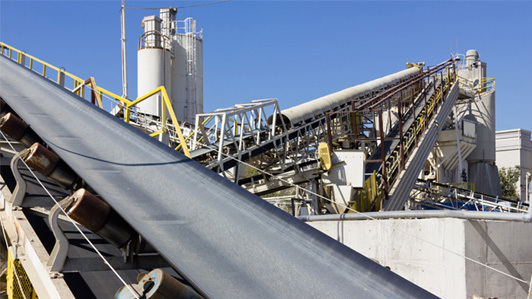 Why Choose Shetty Conveyor Belts?